Crack! Who is inside the eggs? All kinds of baby birds! Can you guess what kind of bird is like a superhero and can fly as high as a jet plane? Or which bird builds nests that can weigh as much as a car? Or which bird sleeps on the water with one eye open? Read Hatch! and find out. Hatch! 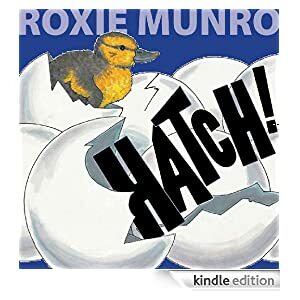 gives young readers a bird’s-eye view into the fascinating world of birds and their unique eggs and nests. This Kindle Fire book is for ages 5-8 and is selling for only 99 cents today. Click here to purchase Hatch!